Morning worship at 10.30 am has a more traditional format with children joining us for the first part of worship before leaving for activities suited to their needs. About once a month our children and young people remain in church for All-Age worship. Communion is celebrated as part of morning worship about once a month. Evening worship at 6.30 pm has a more contemplative feel with fewer people attending. 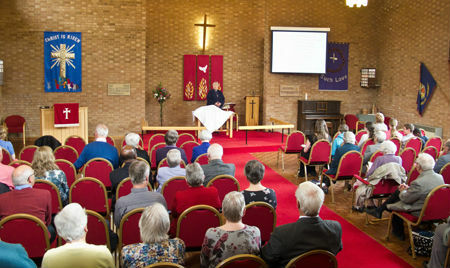 Explore the site to find out what else makes up Daventry Methodist Church. You could start by exploring the Church Life link.